As part of a small number of surgeries we are able to run in neighbourhoods in Birmingham this summer (we started with Acocks Green) we’re coming to Handsworth/Lozells next week. 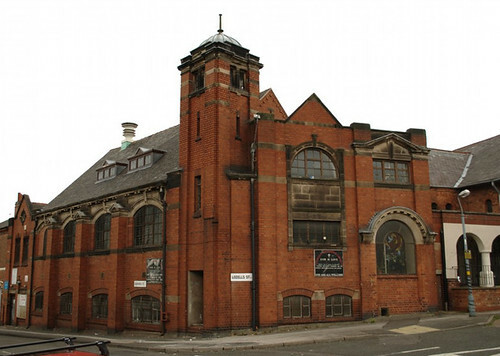 If you are from a neighbourhood or community group in the area and want to understand how blogging, facebook, twitter or other parts of what’s known as social media can help you please come to the Methodist Church (see picture above) on Lozells Street (163 Gerrard Street, Lozells, Birmingham, B19 2AH) between 5.30pm and 7pm. We’ve organised this with generous help from John Heaven and Raj Rattu. Thank you both. If you know you’re coming please put your details into the form below. Otherwise pop drop in on Tuesday evening. We’ll sit you alongside someone who understands diferent ways to use the internet to improve what you do . You can talk, and if you like what they say you can also get help there and then to set up some of the free tools.